Who wouldn’t want to fly on a plane and have the entire plane to yourself, not to mention absolutely free from the noise of others passengers? It never occurred to this man, Skirmantas Strimaitis, when he booked the ticket that he would be traveling alone all the way to Italy. However, Strimaitis, a Lithuanian national, was surprised to find the entire plane to himself. He was traveling to Bergamo from Vilnius on a skiing trip. He had booked a one-way ticket on the Boeing 737-800 on March 16th. He was accompanied by 5 crew members and 2 pilots on the plane. 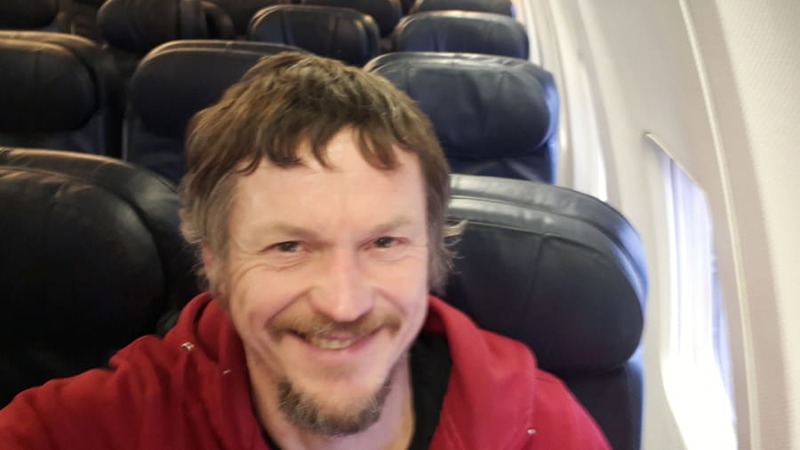 The plane, with capacity to seat 189 passengers, was available all to Skirmantas Strimaitis as there were no other passengers traveling with him. Strimaitis was surprised and suspected that something was wrong once he checked in at the Vilnius International airport in Lithuania. He was told that the crew of Boeing 737-800 was hanging tight for him. He asked the authorities why the crew was waiting for him because he arrived in time for the flight and was not late. Their response was that he is the only passenger to board the plane. The tour operator Novaturas told the sources that they booked a flight to Vilnius from Bergamo. This flight carried their clients to Vilnius and was not chartered for the trip back. The company didn’t want the plane to go back empty, so they decided to put the one-way tickets for the journey back on sale. However, the only man to buy the ticket was Strimaitis. It was a once in a lifetime experience for him and he himself describes this as an “unique and unreal” experience. Skirmantas Strimaitis stated to CNN Travel that the crew also seemed confused about this whole situation. He thought it might have been a first time experience for the crew as well. Strimaitis said that he was given a personal demonstration about the flight safety before the takeoff. He fully enjoyed the flight and took many selfies. He also spent some of his time writing. According to him, it was a rare chance to have complete silence on the plane. He spent the rest of his day smiling. Strimaitis also shared the picture above of himself standing in a deserted plane. He took this selfie during his trip on the plane. The flight took two hours to reach its destination. According to Strimaitis, the pilot addressed him as “Mr. Passenger” when he announced the landing of the plane at the Orio-al-Serio International airport in Bergamo. He also explained that the crew also enjoyed his company and told him that it was nice to have him on the flight. Strimaitis says that he thinks he was very easy to handle for them. The interesting thing is that it is not the first time that a passenger enjoyed the experience of a private plane inadvertently. 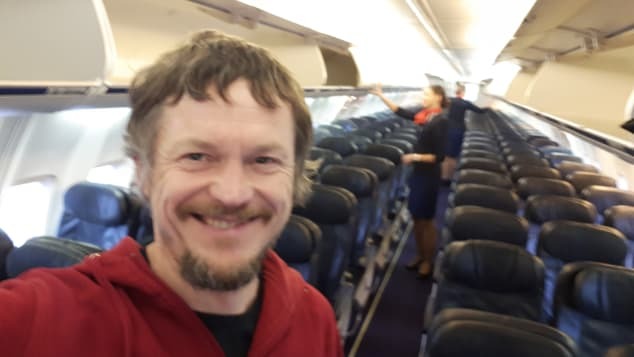 In 2017, Karon Grieve, a Scottish author, boarded the flight of Jet2 airlines to Crete from Glasgow as a lone passenger. She posted a picture of hers in a tweet which described her experience. She said that she felt like a VIP. Another passenger, Beth VerSteeg, took the flight to Washington, D.C. last year, in an airplane that was nearly empty. An unnamed airline booked her mistakenly on the flight that was intended for the staff only.